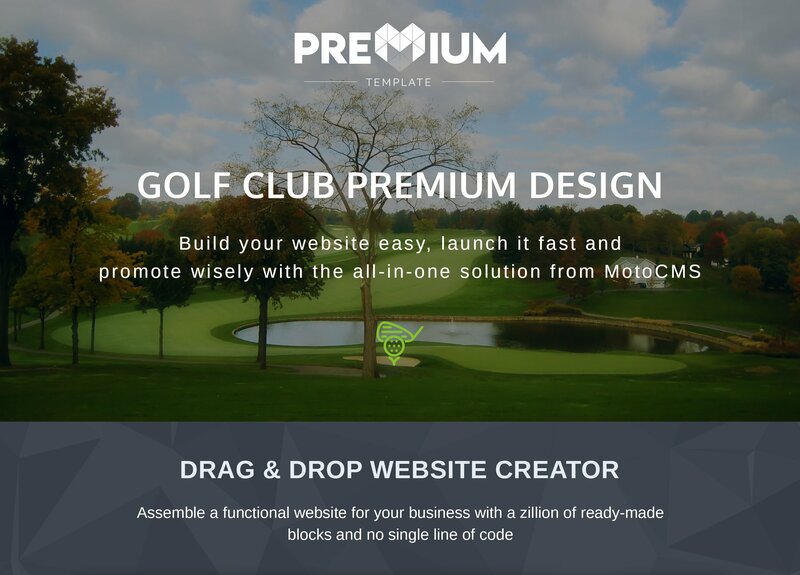 Short description: This Golf Club Moto CMS 3 Template has really luxury design. It greets the visitors with a spectacular screen-wide image of a man playing golf. There are two hollow call-to-action buttons over it. They seamlessly blend with general design concept and serve as perfect attention grabbers. More info about the company with stylish icons is placed right under this photo. Golf gallery block is animated. The pictures there can be opened at the pop up windows. 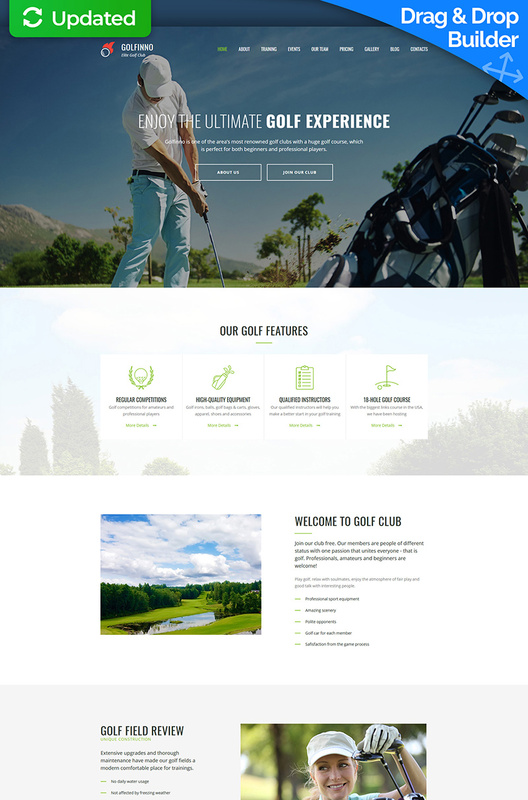 Four club membership plans are also featured on the home page. Google Maps plugin will help your customers find physical club location. The map is placed next to the company contact details. 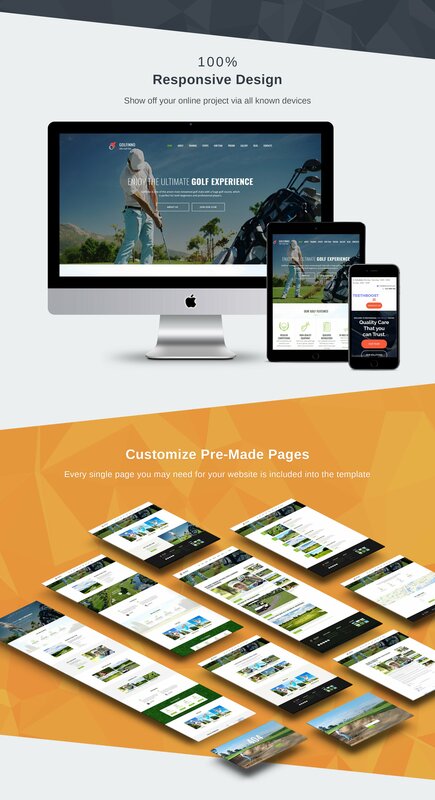 Build a website on the bases of this template and let your visitors feel how much you care about them.